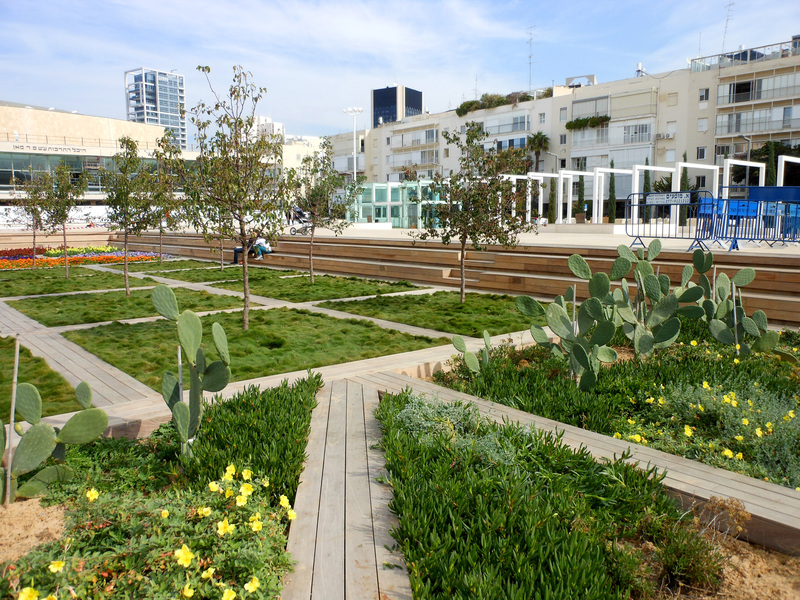 I am hard-pressed to call Tel Aviv a beautiful city from an architectural or landscape architecture perspective. 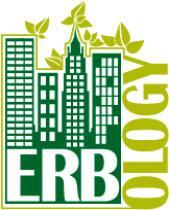 Many buildings are rundown and in disrepair, giving new meaning to the term “concrete jungle.” The beauty of this city comes from the people, their history, the food and general lifestyle. Many of the streets have large tree-lined promenades sandwiched between two lanes of traffic. The promenades are wide enough for bike lanes, pedestrian walkways and a multitude of small playgrounds and swings for children. 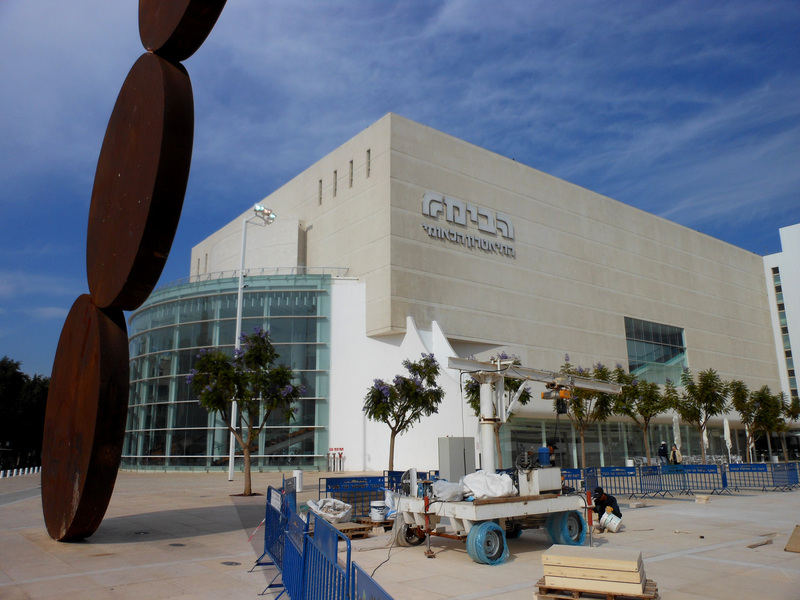 Amidst the chaotic streetscape stands the Habima National Theater located at the end of Rothschild Street and Ben Tsiyon Street in Tel Aviv. 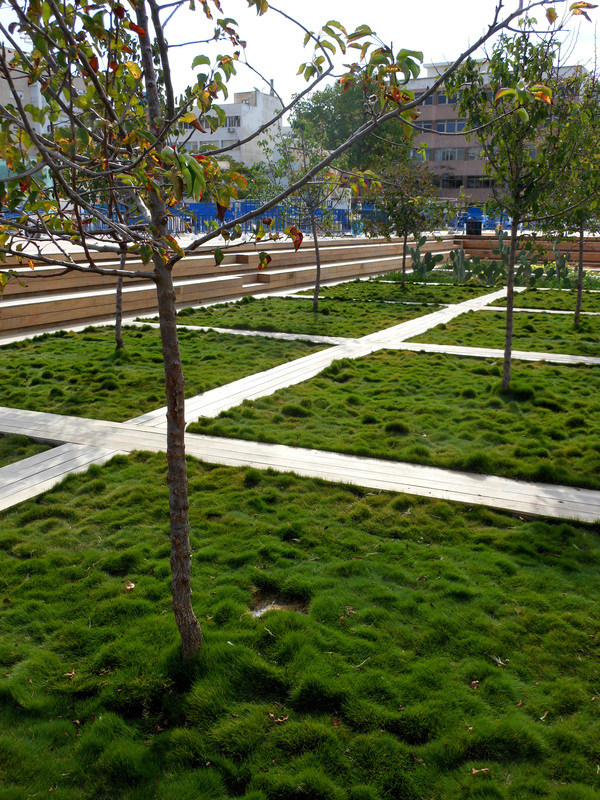 The courtyard (referred to as the New Culture Square), which is still under construction, features a gorgeous sunken garden which captivated my imagination. 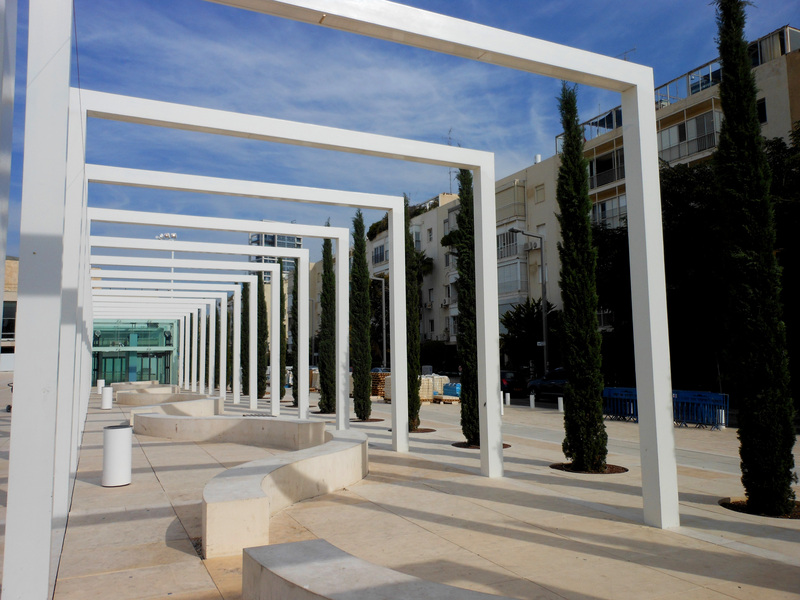 Designed by the Israeli sculptor, Dani Karavan, the garden dances between the lines of formal and whimsical design. The garden sits a good 3 feet below the main courtyard level and features a small cactus plot, a grove of trees under planted with an amazing lumpy turf (which I cannot identify) and a parterre-like flower garden at the other end filled with Petunias, Snapdragons, Begonias and Marigolds. 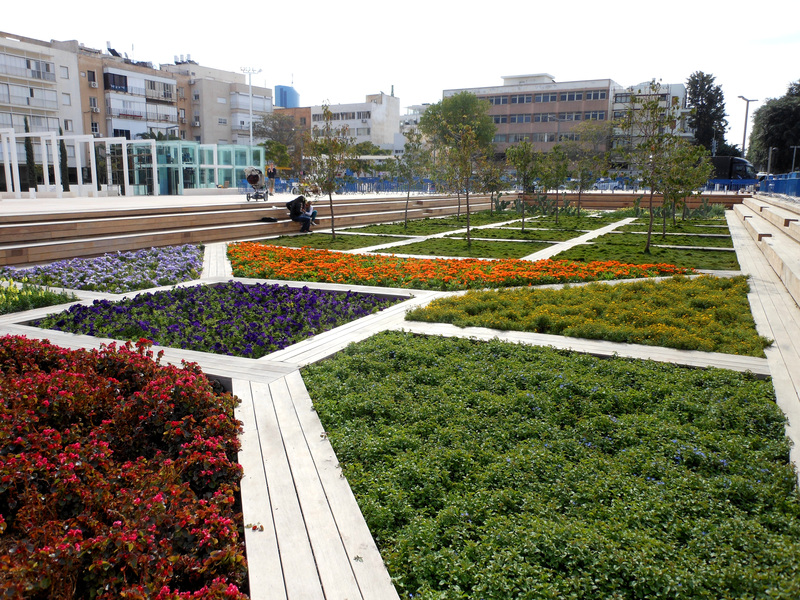 It is fun to see these “summer” annuals growing during winter in Tel Aviv. The theater itself is worth seeing and Rothschild street (one of my favorites) is worth an afternoon stroll to see some nice examples of Bauhaus architecture. More to come on my journey through Israel!